DiSC is the most widely used behavioral assessment tool, adopted by organizations around the world to improve teamwork and understand different communication styles. Backed by 30-years of research, we use DiSC to help reveal hidden talents and skills that create high-performing teams. The DiSC® provides insight related to individual behavior styles from a natural and adapted perspective. Behaviors (DiSC®) define how a person prefers to give and receive information. It does NOT address personality, intelligence, background, or experience. The focus of the DiSC® is behavior and there are no good or bad behavioral styles. We all behave differently for different reasons. When we understand our style and learn to recognize other's styles, we can then learn to adapt behavior to create superior performance. 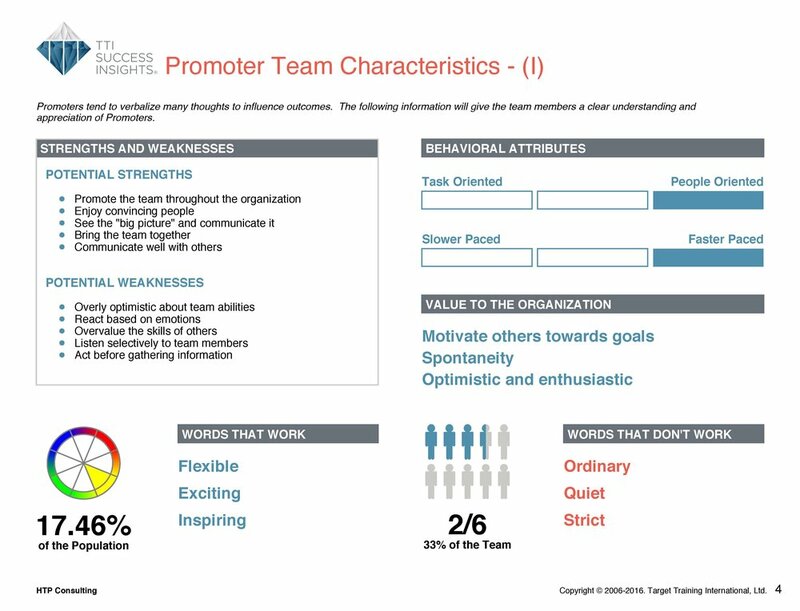 The Success Insights Wheel is a map of the unique behavior styles in your team and/or organization and provides the opportunity to increase successful communication and engagement across those styles. For many it is the ”ah ha” moment to understanding communication challenges and identifying solutions for increasing effectiveness. 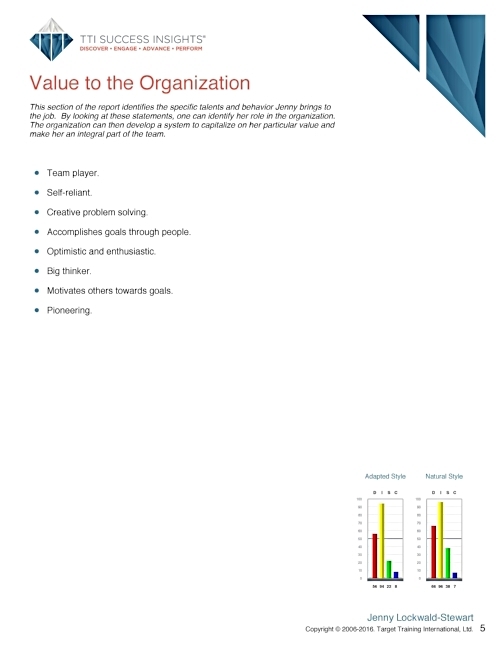 It also provides insight to staffing gaps that could be hindering further success in your team and/or organization. With a shared view of the "how" and "why" of workplace styles, team members gain insight into each other and a new appreciation of what each individual brings to the table. Teams with a robust commitment to perceive differences as balancing team strengths can capitalize on opportunities. A new way of relating and understanding amongst team members emerges, allowing the organization to get past obstacles and succeed where it couldn't before. Please provide details regarding why/how you would like to utilize the DiSC. Thank you for your inquiry regarding the DiSC! We will contact you in the next 24 hours.